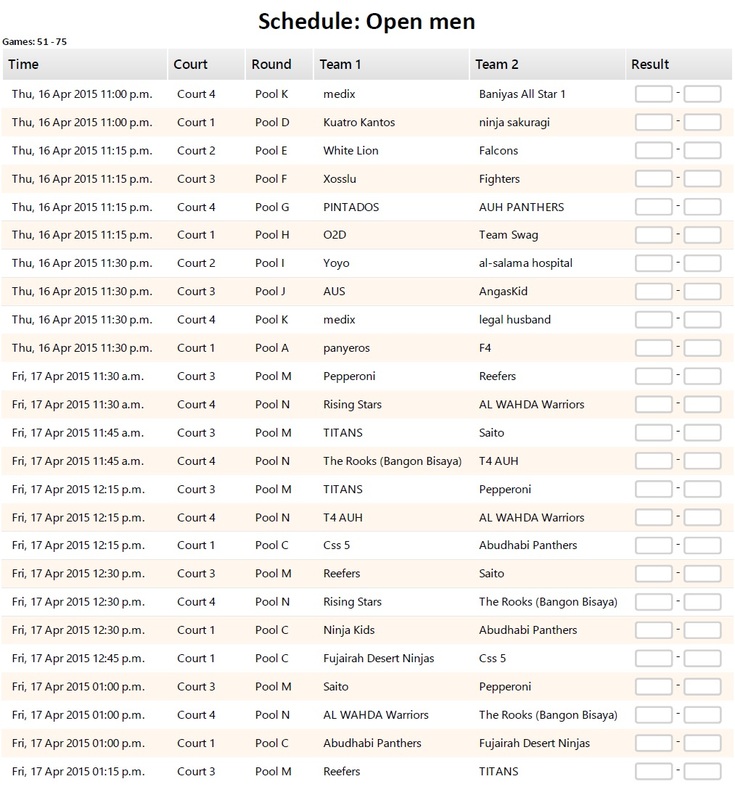 Check the game schedule for Stage 4! 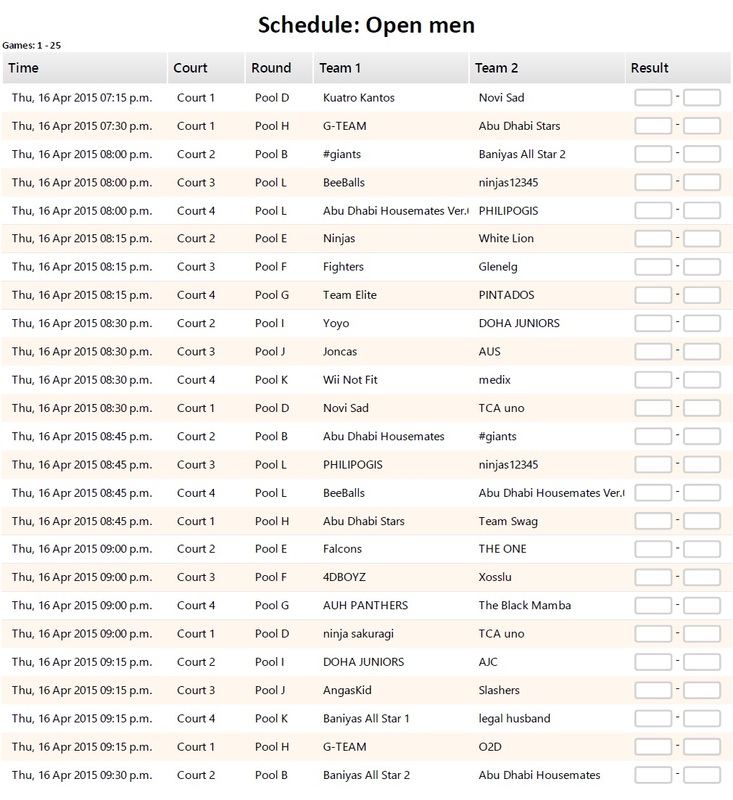 The fourth stage of the Abu Dhabi 3×3 Basketball Tour will start today, at 05.00 PM, in the parking facility near the Nation Towers, on Corniche, with games for U18 boys and girls and Open Men categories. 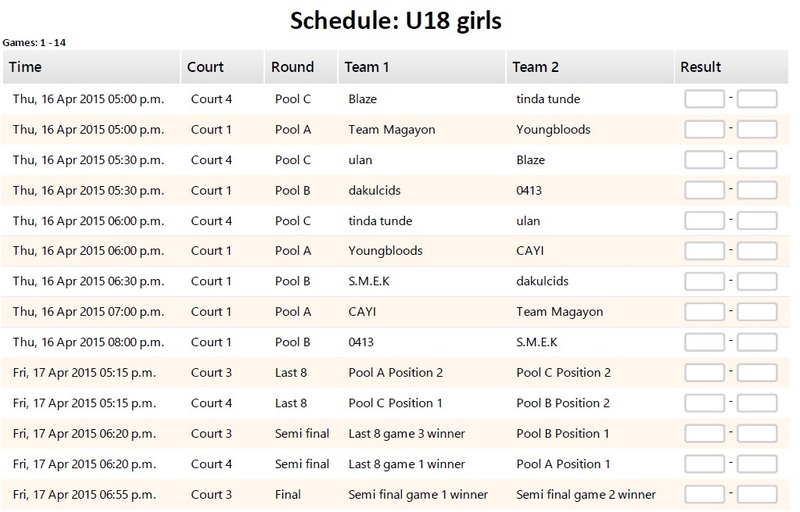 Please note that categories U13 boys, U15 boys and U15 girls will play only on Friday! 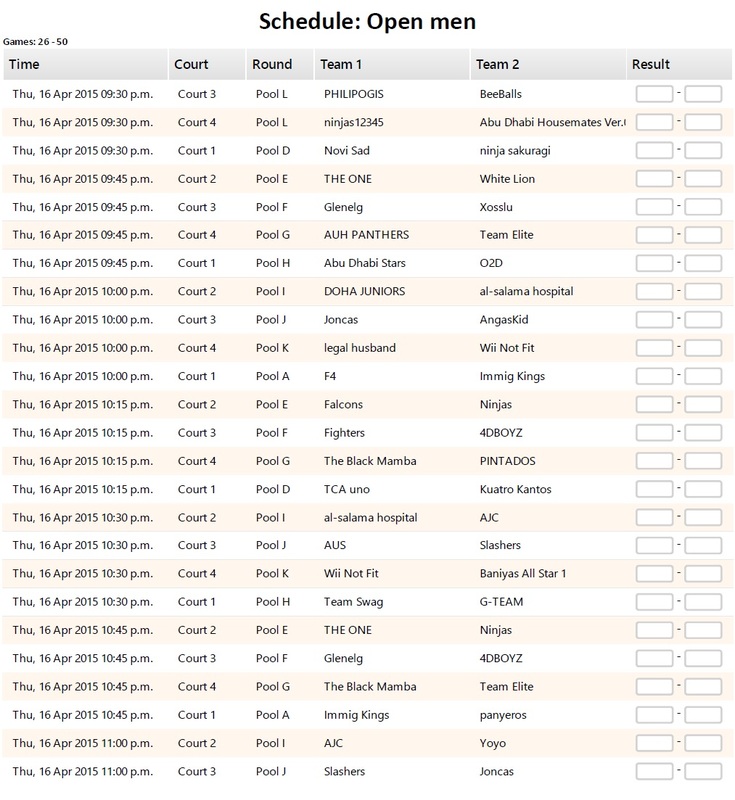 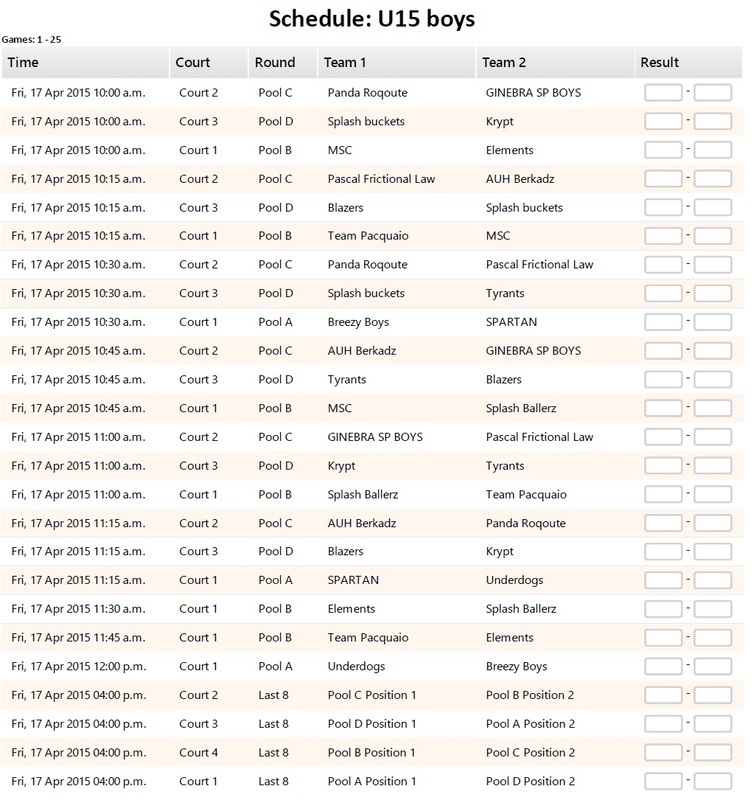 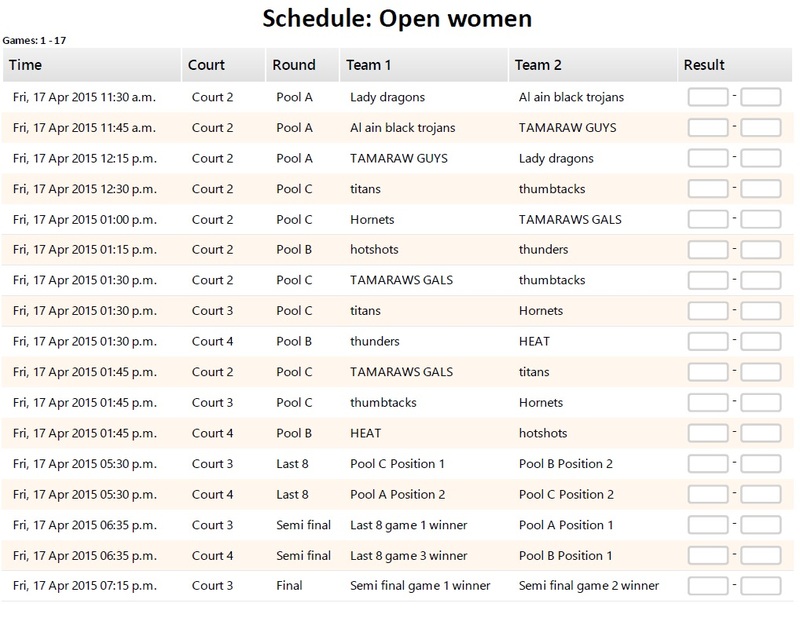 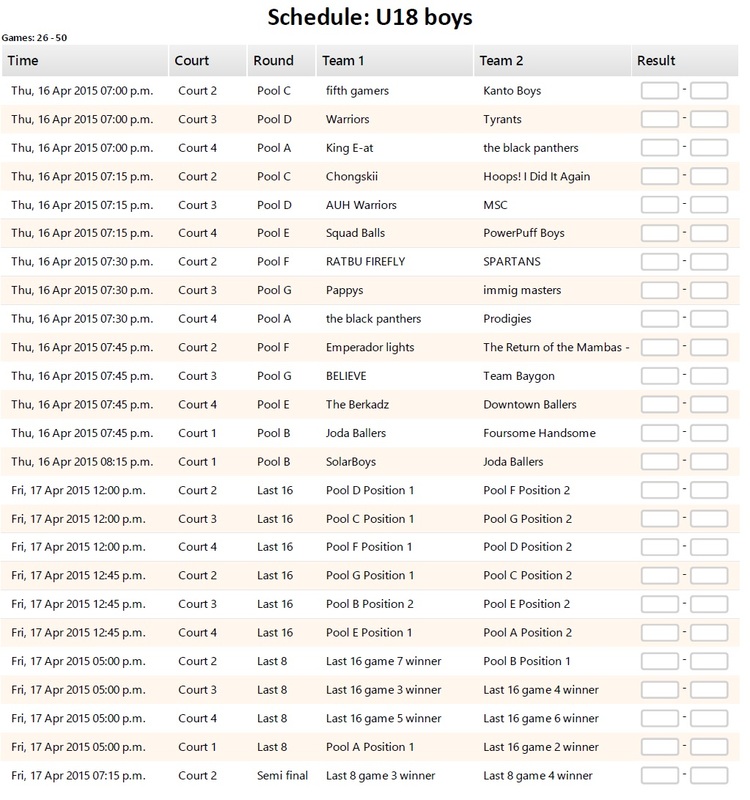 Check below your game schedule, which will be soon available also on your http://www.3x3planet.com accounts.